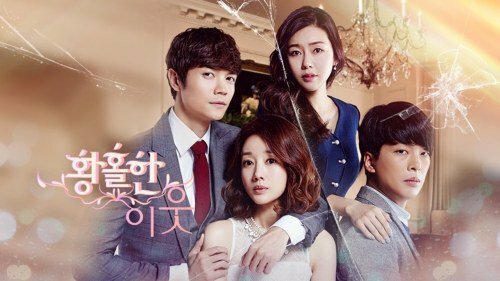 SBS daily drama "Wonderful Neighbors" is coming out of its veil on the 5th of January. The first episode of "Wonderful Neighbors" is going to lay out the characters and their complicated relationships. Musical actress Choi I-kyeong (Park Tam-hee) replaces one of her actors who is in a cast and holds an audition. Bong-gook (Yoon Hee-seok) is going to be at the audition. Meanwhile, Gong Soo-rae (Yoon Son-ha) is on her way back home with a load of things but is tripped over by a rush of reporters and she meets Chan-woo (Seo Do-young). Free-spirited and nameless musical actor, Bong-gook and his wife Soo-rae, Chan-woo, an ideal father but not a husband. And I-kyeong, the only daughter of a clothes company owner and a musical actress appear throughout the drama. "Wonderful Neighbors" is about a woman who only has eyes for her husband meeting the nice man next door. ""Wonderful Neighbors" starring Park Tam-hee, Yoon Son-ha, Seo Do-young "